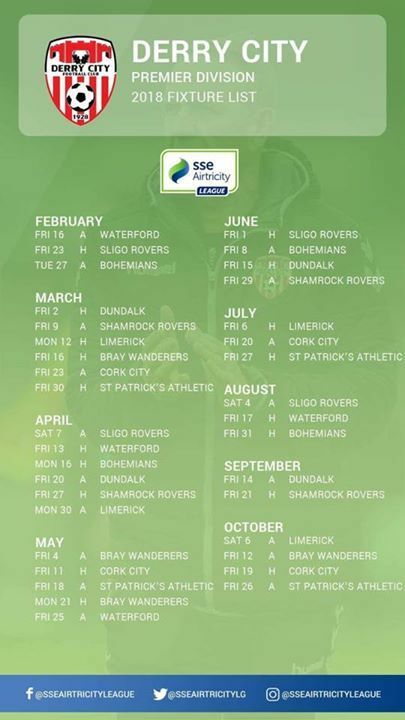 The fixtures for the 2018 SSE Airtricity League season have been released. Derry begin the campaign away to newly promoted First Division champions, Waterford FC on Friday, February 16th. The first league game back at the newly revamped Brandywell Stadium will be versus Sligo Rovers the following Friday, February 23rd. This year’s mid-season break occurs between Saturday 16th June and Thursday 28th June. Each team will play 36 games in the league this season, 3 more than previous, due to the new 10-team format. 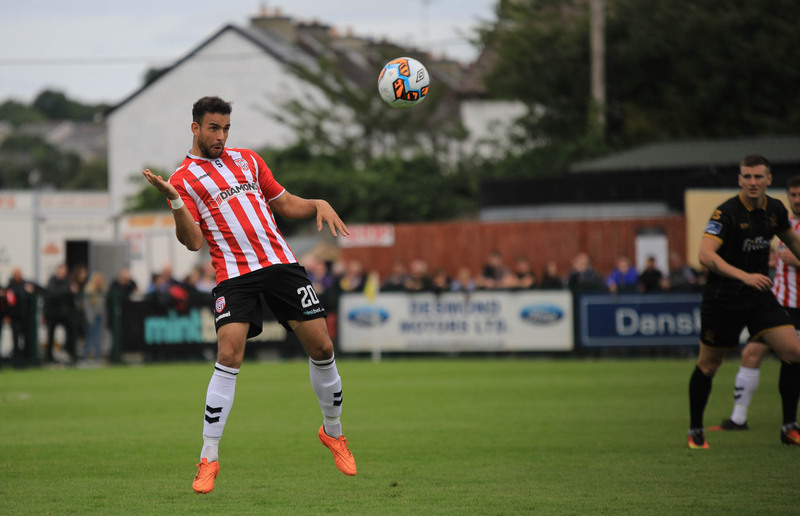 The Candystripes will finish their league campaign against St. Patrick’s Athletic for the third season running, this time away from home on Friday 26th October. The Irish Daily Mail FAI Cup final will be played on Sunday, November 4th and the EA SPORTS Cup final will be played on Saturday, September 15th. Below is an image you can download with all of our league fixtures.